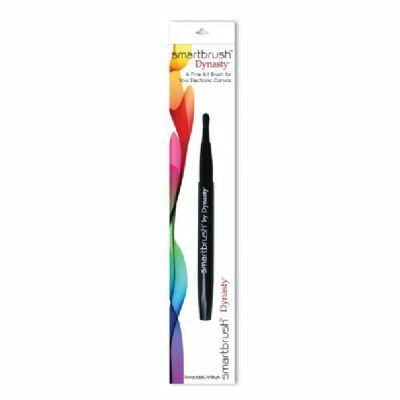 Smartbrush Touchscreen Stylus for use with touchscreen devices, tablets, and smart phones. Made with specially treated fibers that are conductive and recognized by capacitive screens. Includes reusable vinyl pouch.